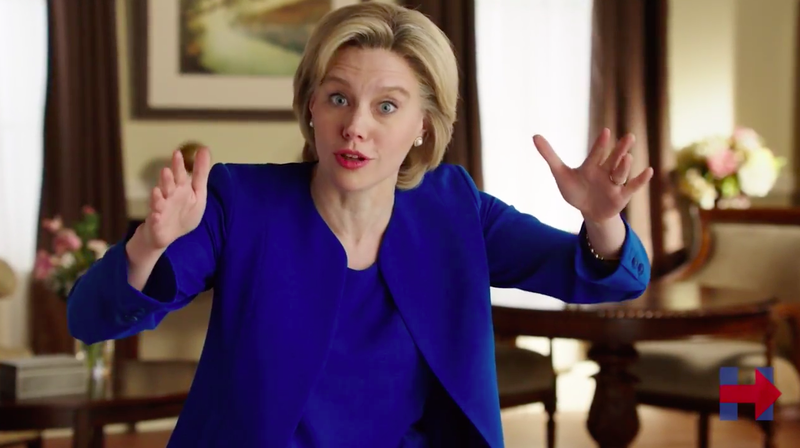 A week after excoriating Donald Trump with a fake campaign ad decrying his followers as racist, Saturday Night Live turned its attention to Hillary Clinton this weekend—knocking the Democratic front-runner with a less brutal spoof but one that amusingly played up her vulnerability to a surging Bernie Sanders. There was some griping after the Trump spoof that SNL reserves its most vicious attack for Republicans, but Lorne Michaels has long denied that. "People are always looking for [the show] to be on the side of [Hillary] Clinton, and that's not what we do," he told The Hollywood Reporter last month. And of course, Trump got plenty of airtime as host of the show.